Don’t forget your airport parking when flying from Birmingham Airport – it won’t be the most exciting part of your trip, but it could be one of the most important decisions you make. You wouldn’t leave the keys to your house with just anyone – and your car’s just the same when it comes to parking for Birmingham Airport. 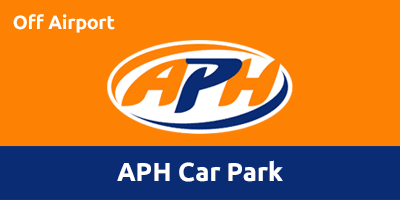 With more than 38 years’ experience of looking after vehicles across the UK and almost 15 years operating our own car park at Birmingham Airport, you can certainly trust APH. We’re also here to help find the ideal type of Birmingham Airport parking to match your needs as you head off from this busy international facility. And, with a huge range of products on offer, there’ll need to worry about failing to find your perfect parking match. With a full range of options covering parking for Birmingham Airport, travellers can choose from the likes of official on- and off-airport parking, park and ride and meet and greet products. There really isn’t any need to compromise – read on and pick the parking that’s perfect for you. 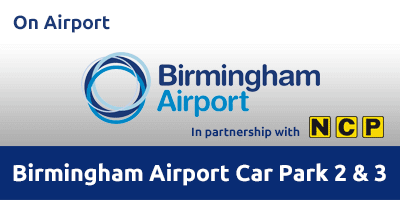 Choosing the perfect parking for Birmingham Airport needn’t be daunting with the help of APH. We’ll help guide you through the options to identify the products on offer and why they might or might not be right for you. 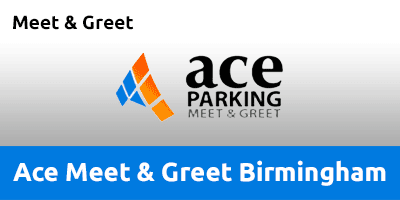 Browse the products we offer for parking at Birmingham Airport here. The vast majority of car parks that APH works with are holders of the Park Mark Safer Parking Award and the remainder are working towards obtaining the standard. Looking out for this industry-standard award will confirm the facility caring for your car is taking active measures to create a safe environment for both you and your vehicle. The Park Mark Safer Parking Award is a Police Crime Prevention Initiative and all holders will have met or exceeded the requirements of a risk assessment set by cops. As you’d expect, our APH Birmingham Car Park is a holder of the Park Mark Safer Parking Award – offering safe, secure, accommodation for your car while you’re away travelling. Look out for the Park Mark Safer Parking Award sign. Along with the Park Mark Safer Parking Award offering an insight into security, finding out what previous customers think about a product also offers invaluable insight. Here at APH, we believe in clear, honest and independent reviews of services we operate and sell, which is why we work with Reevoo. With only genuine customers able to post feedback, Reevoo ensures all comments are generated from real-world experiences – without vetting by APH or other service providers. We’re proud of our hard-earned reputation for honest and reliable service, which is why we’re passionate about ensuring you have a drama-free experience when parking with or through APH. Browse the reviews and see just why APH is a multiple winner of the Best Airport Parking Company category at the British Travel Awards. Booking your airport parking with APH is a smart way to ensure you secure legitimate and safe parking for your car while away, but it’s also a great way to help save some money too – without compromising on customer service. We know that booking Birmingham Airport parking is not going to be the most exciting part of planning your trip but give it a little thought and we can help the savvy traveller make some big savings on the amount they’ll pay – leaving more cash for the fun bits of the trip. Joining the APH email list brings many benefits that can help you save cash when booking Birmingham Airport parking. To start with, you won’t miss out on sales, deals and competitions – and the money saving benefits they bring. Signing-up will also bring instant benefits, too! Just by joining, you’ll be entitled to a saving of at least 10 per cent from the moment you enter your email address. And, it’s not just ‘new customers’ who get all the perks – we reward loyal customers with even bigger savings. You can sign-up and start saving right now – just enter your email address at the bottom of this page and hit send! Along with signing-up to receive our emails communicating the latest deals and offers, we can also help the smart traveller cut considerably more from the amount they’ll pay for Birmingham Airport parking. With many travellers booking their holidays months before they travel, doing the same for parking can mean serious savings on the amount they’ll pay. And to make it easier, we’ve got the market intelligence you need. It won’t come as a surprise that booking early will help you save, but we can reveal just how much you could slash from your bill – and why it really is worth the outlay to get ahead of the crowd with your Birmingham Airport parking reservation. Looking at how prices ebb and flow, analysis shows that booking your Birmingham Airport parking six months prior to travel could save you up to 45 per cent, when compared to making the same reservation within the final week before departure day. Convert these average figures into cash equivalent, leaving your Birmingham Airport parking to the last minute could cost around £54, whereas making the reservation six months prior to flying could mean paying out around £29. 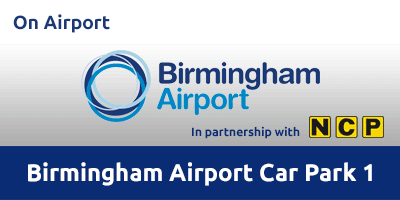 Get ahead of the game and save money by booking your Birmingham Airport parking as early as possible. Another smart way to get the best deal for your airport parking when flying from Birmingham, is to consider a Non-Flex parking deal. These bookings mean you can’t change the date or time of your stay, but if you’re sure your travel dates won’t change, they can bring big significant savings over flexible deals. In fact, in a sample booking, we found that booking a Non-Flex product could cost £34.44 for a week’s parking, compared with £37.44 for a flexible park and ride product at Birmingham Airport. Certainly a saving that’s worth considering if it fits your travel plans. 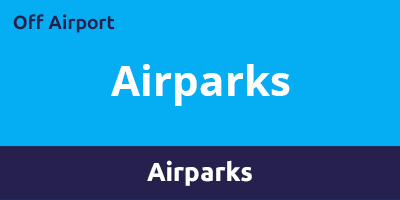 Typically, booking park and ride through APH brings the cheapest Birmingham Airport parking. But, booking cheap parking doesn’t mean you’ll receive a cut-price service, either. With airport parking experience spanning four decades, you can rely on award-winning service from APH whatever price you pay. Travellers flying from Birmingham Airport can choose between on- and off-airport facilities and meet and greet – along with the option of booking a hotel and parking package. Here we look at the differences between parking options and how to choose the solution offering the best fit for your travel requirements. Take a look at this easy-to-read overview of the types of parking offered at Birmingham Airport. You can read on below for a more detailed guide to how each service could match your needs. Choosing official airport parking puts you right next to the terminal doors on the day of departure – making it perfect for passengers in a rush to reach the check-in desks. How it works: On-airport parking is extremely simple to use. Drive to the car park, find a space, park your car, unload your bags and take the short walk to the terminal. Additionally, because you park your own car, there will be no need to leave car keys while away. There’s no need to queue for a transfer bus, either, with just a three-to-five-minute walk to the terminal building (Car Park 5 offers a free transfer bus if required). However, the sought-after location means prices for on-airport parking will be higher than off-airport facilities such as APH Park & Ride. Best for: With its proximity to the terminal building, on-airport parking makes perfect sense for passengers laden with bulky luggage, or those with a young family to control. Business travellers on a tight schedule will appreciate this speedy route from car to check-in desks. If you don’t mind paying a few pounds extra, then selecting on-airport parking could be the perfect solution to get your trip off to a stress-free start from Birmingham Airport. Enter your travel dates to get an instant quote. Savvy travellers looking for cost-effective trustworthy airport parking should look no further than off-airport services offered through APH. How it works: Off-airport park and ride services offer the best value service for travellers. Typically located within 15 minutes’ drive of the terminal, they’re extremely easy to use. First up, travellers will need to drive to the off-airport car park, where they can unload their bags and jump on one of the regular transfer buses to the terminal. This shuttle ride will typically take around 15 minutes. Once on the way to the airport, customers’ cars will be parked on the site – or occasionally moved to a nearby, security-protected overflow car park. On their return, customers can take a free transfer bus back to the car park and collect their car. Easy. Here’s a quick overview of how off-airport park and ride services work. Drivers will need to leave their keys when using park and ride services. Services such as APH Park & Ride offer high-quality parking in security-protected sites that receive great reviews from previous customers. Additionally, all Birmingham off-airport parking services offered by APH are holders of the police-approved Park Mark Safer Parking Award – ensuring a safe environment for both you and your vehicle. Best for: Off-airport parking offers a great option for all travellers flying from Birmingham. And it will be of interest to those who want the best prices but aren’t prepared to compromise on security or location. With more than 38 years’ experience, we only work with the best providers offering safe, legitimate parking in security-protected facilities. 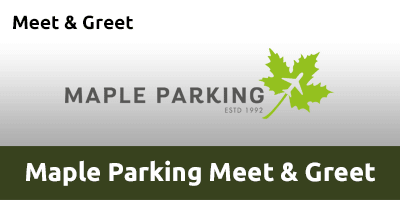 Choose our very own APH Park & Ride and you’ll be guaranteed secure parking with 24-hour staff, gate-controlled access and extensive CCTV across the Park Mark Safer Parking Award-holding car park. From families to couples and business travellers, off-airport parking brings top-rated services for the very best prices. Add your travel dates now for an instant price. If you’re looking for the ultimate airport parking solution, meet and greet should be sitting at the top of your wish list. How it works: There’s no faster way to the check-in desks than using meet and greet parking – and it’s one of the easiest services to use. Simply drive straight to the allotted meeting point – typically the terminal forecourt or on-airport car park – where you can grab your bags and take the short stroll directly to the check-in desks. Once you’re safely on your way, the car will be taken to a security-protected car park for the duration of your trip. It will then be ready to meet you on your return to Birmingham Airport. It really is that simple. Meet and greet will typically top the pricing table, but slashing anything up to 45 minutes from your journey to and from the terminal could easily make it a great investment for those on a tight schedule. 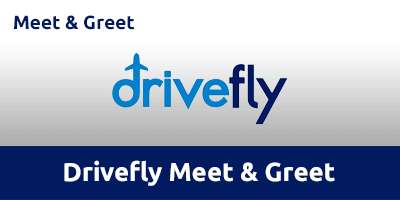 And don’t forget, booking meet and greet services – such as Drivefly Meet & Greet – through APH will ensure there’s no risk of falling victim to a rogue operator. All of the partners we work with operate legitimate services backed-up by security-protected compounds to care for your car. Best for: If you’re prepared to pay a little extra for the luxury of meet and greet parking then you’re sure to benefit from this time-saving solution. From families with young children to business travellers running to a tight schedule, meet and greet bypasses the car park and sends you straight to the check-in desks. Packing the car and starting the journey to Birmingham Airport should be a time of excitement, but for many travellers the prospect of early morning alarms and clogged rush-hour roads is less enchanting. That’s why an increasing number of smart travellers are swapping the misery and anxiety of on-the-day travel for the convenience and luxury of a stress-busting airport hotel and parking package for the night before they travel. Booking a hotel and parking package from APH can offer the reassurance you need when it comes to protecting your trip from the spectre of missed flights caused by traffic jams and unexpected road closures. Find out about the deals on offer by checking out the full story here. Heading to APH Birmingham? Take a (rainy) final approach to the car park to help make departure day that little bit easier. 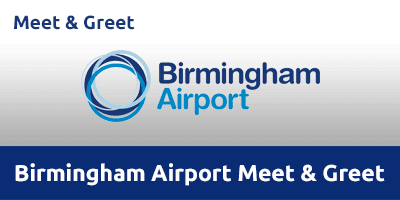 Use these directions to help ensure you arrive at your Birmingham Airport car park in plenty of time.